As many of you know, I have a deep love for traveling the world. As fewer of you know, I’m a pack rat and tend to collect miscellaneous treasures (read: junk) from the places I visit. 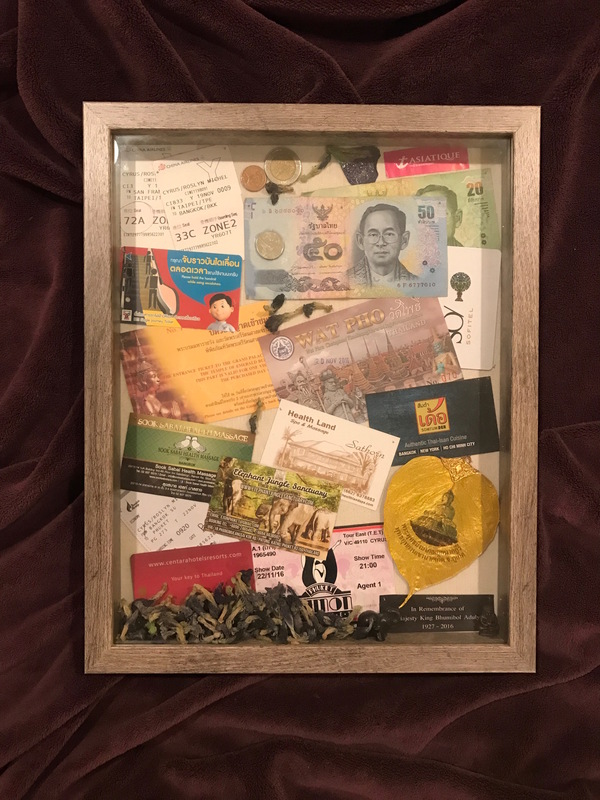 Ticket stubs, postcards, hotel keys and restaurant coasters: any bit of evidence that I visited and loved a place, I bring back home with me from my travels. The older I get, the more significant the memorabilia becomes. 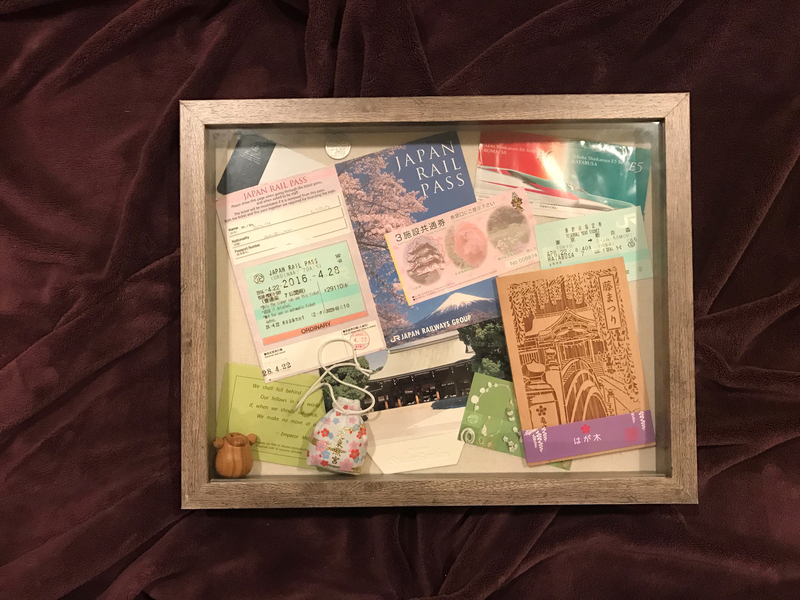 When I got back from my trip to Japan in April, I came back with piles of receipts and tokens from my wonderful time there. 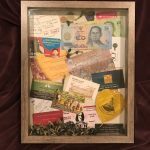 I got the idea to preserve these memories in a frame of some sort, and I started researching ways I could have a “3D” presentation of my collections. 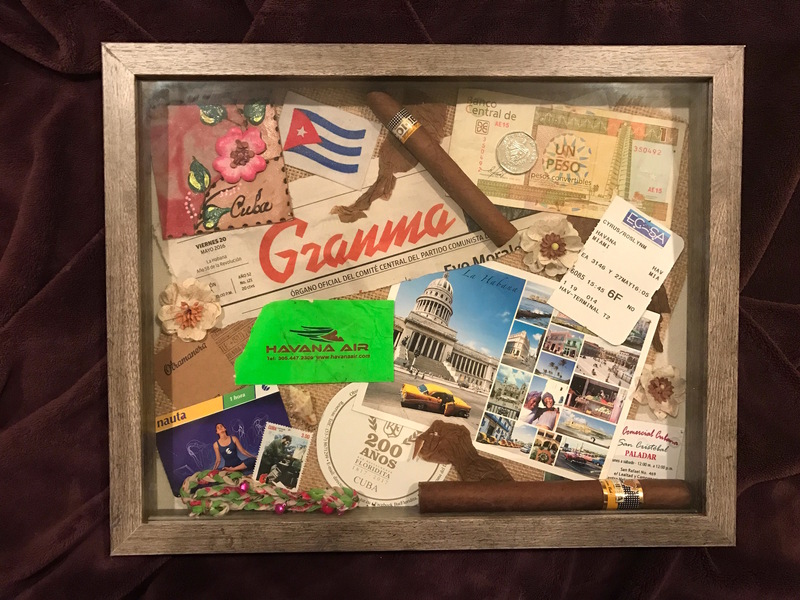 I discovered something called shadow boxes: frames that have an inch or two of extra depth to allow you to put objects other than flat pieces of paper/photos behind the glass. 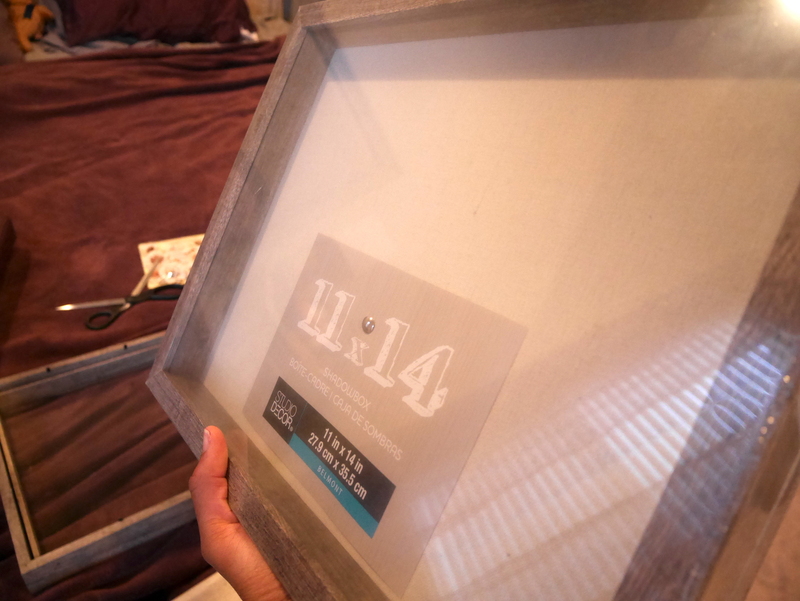 I looked up different styles and found these perfect distressed gray wood frames from Michaels. I bought 10 or so of them in different sizes, in anticipation of collecting more goodies on future trips. 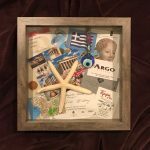 By the time I got the frames, I had already gone to Cuba and Greece with the same idea in mind, so I had lots of scraps to fill frames with for now three different countries. 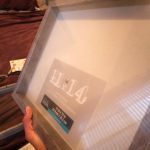 Putting everything together was easy. 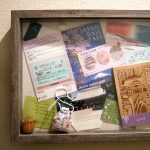 I got some filler decorations from Michaels and pinned or glued everything to the board in the back of each shadow box. My Japan box has my JR Pass which I used to seek out cherry blossoms in Hirosaki. It has a cute little monkey token that I got from one of the temples there. My amulet bag is also inside. 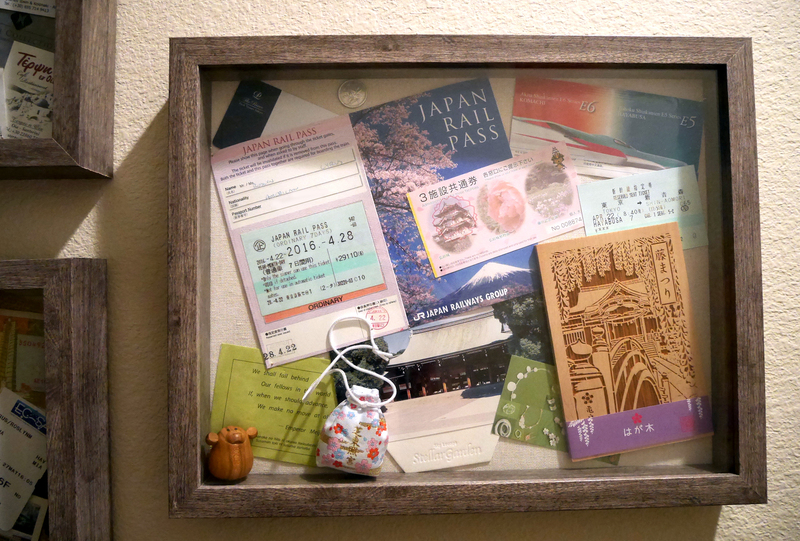 It has a laser-etched wooden postcard from the wisteria shrine I stumbled upon one rainy morning. 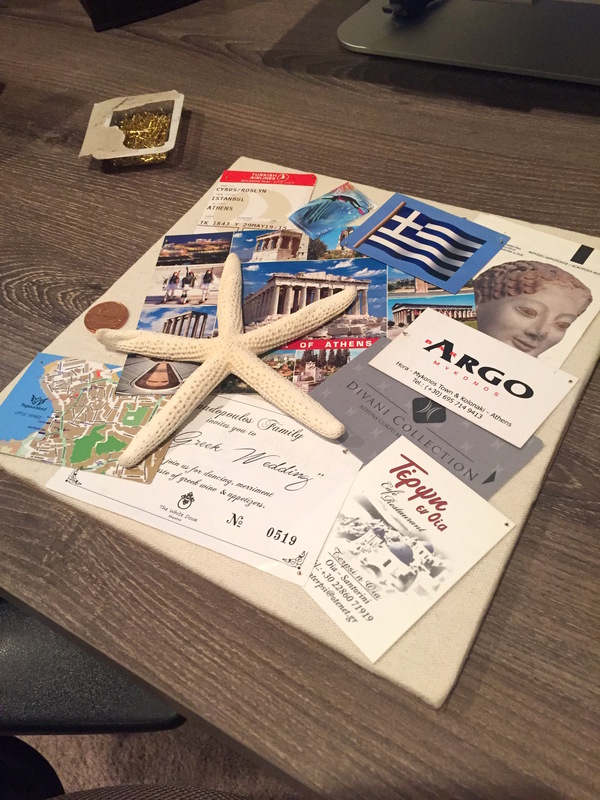 I also have a coaster from the sky bar of the hotel we stayed in, as well as the room key, to remind me of our wonderful stay there. 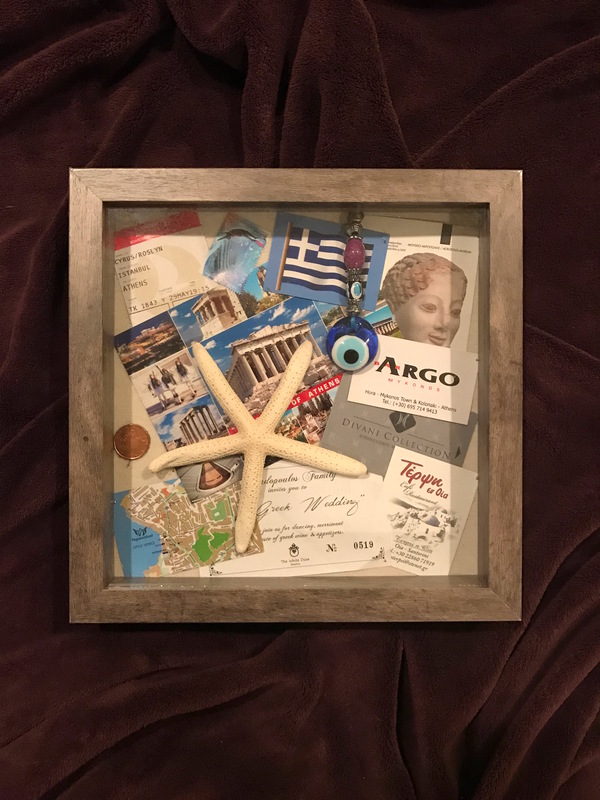 My Greece box has a decorative starfish that I bought at Michaels to remind me of the live one that I found sunbathing near the shore in Mykonos. It also has business cards from the many shops and bars we visited, as well as my ticket stub from the wonderful Greek wedding play we saw. 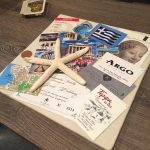 A ticket stub to the Acropolis Museum and a boarding pass stub also make an appearance. 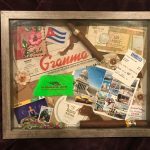 My Cuba box, perhaps my favorite so far, has lots of treats in it. I have a couple Cohiba cigars, and tobacco leaves that one of the rollers gave me at the cigar factory. 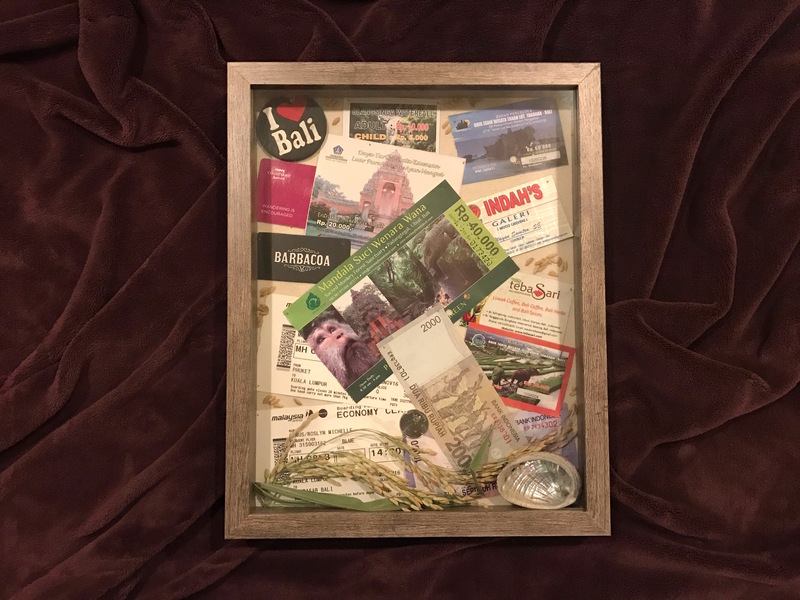 A postcard features photos of many of the places I experienced. A painted leather notebook cover was preserved (after the cheap little notebook fell apart, sigh) for its simple beauty. A Cuban convertible peso reminds me of the dual currency system there, and a used wi-fi card reminds me of the many nights I saw dozens of Cubans crowded around wi-fi spots to chat with their loved ones. 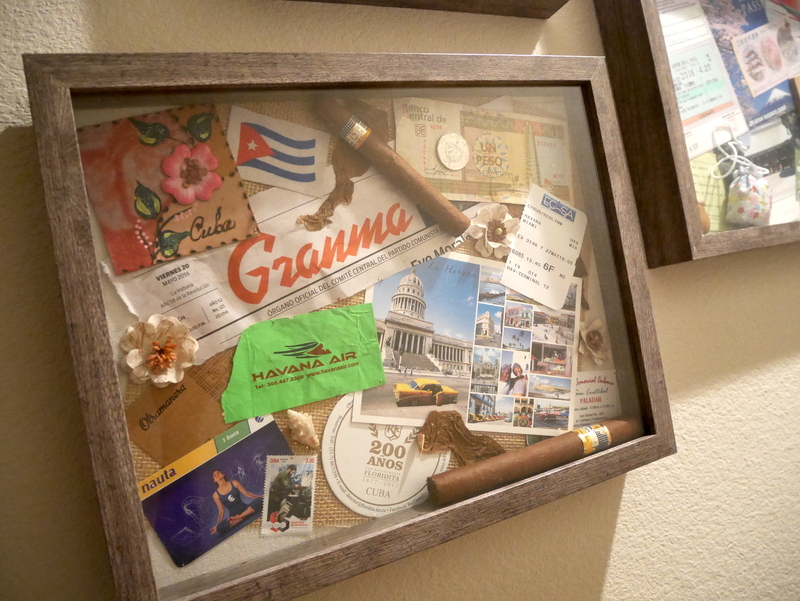 A stub from my boarding pass and a suitcase tag from Havana Air remind me of my journey to and from the island. 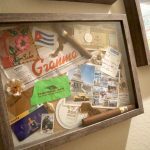 In addition to the shadow boxes, I got matching picture frames that I plan to use for photos of past trips that I didn’t get a chance to collect memorabilia for. I’m looking forward to collecting more treasures from future destinations. 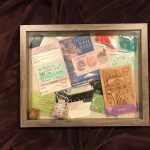 These shadow boxes will be nice visual reminders of my trips, in addition to the masks and shot glasses I collect from around the world. 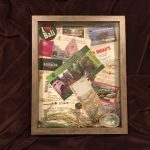 This entry was posted in Artwork, Design and tagged scrapboarding, travel. A lovely post, as always! Can’t wait to see them in person.